The European Society for the Study of Western Esotericism (ESSWE) is a learned society established in 2005 to advance the academic study of the various manifestations of Western esotericism from late antiquity to the present and to secure the future development of the field. The ESSWE is an affiliated society of the International Association for the History of Religions (IAHR) and a related scholarly organization of the American Academy of Religion (AAR). The history of Western esotericism from antiquity to the present is filled with reports of unusual and sometimes spectacular experiences that are claimed to convey higher, deeper, or even absolute knowledge about the true nature of reality. 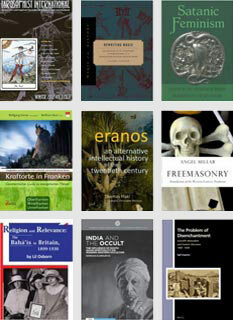 Some typical examples are the many references to direct supra-rational gnosis, ecstatic experiences, and states of divine manía (madness or frenzy) or possession from antiquity to the present; visionary travels to other places, other worlds, or other levels of reality, as well as to past or future periods and events; visionary encounters with intermediary beings (for instance angels, demons, spirits, elementals, ascended masters, divinities); the hearing of inner voices, receiving or “channeling” of spiritual messages, and communication with disembodied entities; and ineffable experiences (for instance apophatic unity) that are difficult or impossible to express through normal discursive language. 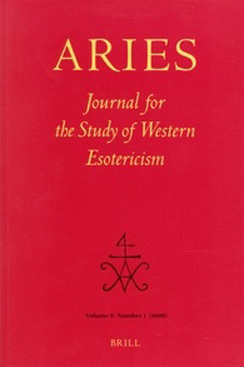 Texts and Studies in Western Esotericism is the first professional academic book series specifically devoted to a long-neglected but now rapidly developing new domain of research in the humanities, usually referred to as “Western Esotericism”.